Johnny Metgod has left his position as a director with Nottingham Forest to become assistant coach of the United Arab Emirates national side. The Dutchman, 61, joined Forest's board in 2017 but has been allowed to move on to take up his new role from 1 April. 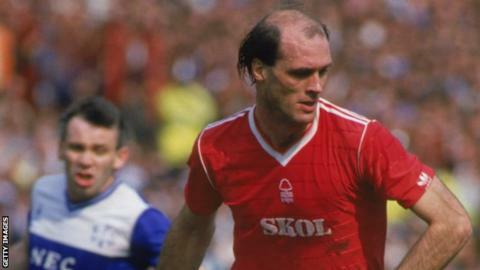 He played 116 league games for Forest in a three-year spell between 1984-87. "Everyone knows about my love for the people at the club and in the city so this was a very difficult decision for me," Metgod told the club website. Metgod began and ended his playing career in his homeland and also briefly played for Tottenham Hotspur after leaving Forest. His first coaching role was with Feyenoord and he has also coached in England with Portsmouth and Derby County.